Introduce your students to gene regulation with this lab activity focused on the lac operon. During the lab, students test the B-galactosidase levels of 3 cultures grown in the presence of glucose, lactose, or glucose and lactose. 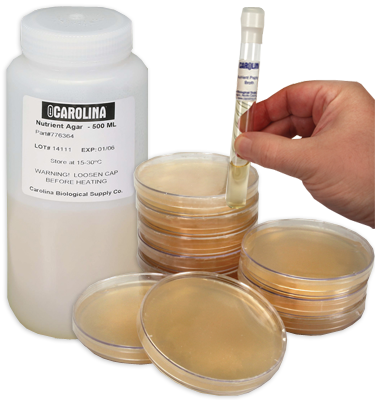 Perform as a quantitative or qualitative lab. Designed for 8 groups of 2 to 4 students. Note: Kit includes a prepaid coupon for perishables. Contact us or return coupon to request delivery of perishables. Introduce your students to gene regulation with this lab activity focused on the lac operon. During the lab, students test the B-galactosidase levels of 3 cultures grown in the presence of glucose, lactose, or glucose and lactose. You have the option of allowing students to perform the activity as a quantitative lab (with spectrophotometer) or as a qualitative lab (without spectrophotometer). This kit is designed for students working in 8 groups of 2 to 4. Note: Kit includes a prepaid coupon to request the perishables later at your convenience. Contact us or return the coupon to request delivery of perishable materials. The o-nitrophenyl-B-D-galactopyranoside must be kept frozen.